What are good terms for distinguishing non-shared from shared files? Our users can store files that they don't want to share with others, and files that they do want to share with others. For the former, we're exploring using the labels "Private" or "Personal." Both have problems. "Personal" might sound like they're not for business use, which we don't want to imply. And "Private" cues weird associations, for some, with "private parts" or thorny issues around data privacy. One could conclude that "Non-shared" and "Shared" is abundantly clear but "non-shared" feels clumsy and indirect. Are there better labels we haven't thought of yet? 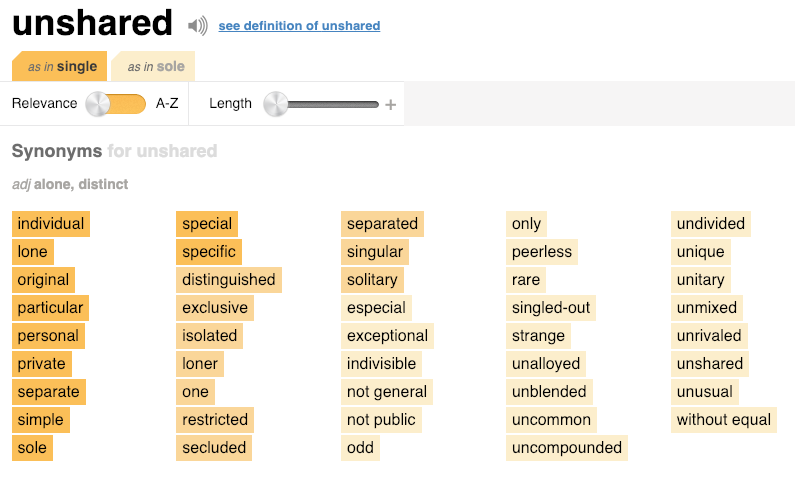 According to the dictionary, shared has an antonym: unshared, and includes a second option: excluded. Platforms use, public and private because the terms are already well established and would be ideal for your issue. 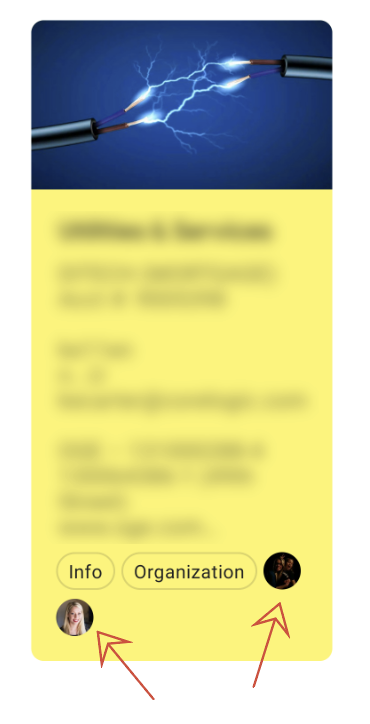 Some context around what type of files and system we're referring to might help, but many services these days have opted for a different solution of showing who can see items when they are shared (with avatars, or using text, etc. ), as opposed to just text that says it's been shared. This gives the end user all of the information, both that it's shared and who it's shared with, so it tends to be a better solution when applicable. In the reverse case for non-shared items, the absence of those indicators communicates that it hasn't been shared, preventing you from having to use those terms you're pointing out issues with at all. Also here's an example from Amazon. As you see Amazon do in the example above, some sort of 'Share' or 'Invite' UI can be displayed in the space when it hasn't been shared which also serves as an indicator that it's not shared with anyone yet. I think this has become the dominant design for sharing UI and users have come to understand it. As they use your system they'll learn and you can (and should) always help them with tooltips and such. I hope this different way of approaching it is helpful, and i do agree with you about text labels being easily confusing. Not the answer you're looking for? Browse other questions tagged labels sharing or ask your own question. What are the possible channels and methods for sharing content with only one person from an iPhone app? What are best practices for a bookmarklet? what is the best way for a user to securely share from a public device & app? What are best practices for in-app Facebook share? What are best practices for naming convention, hierarchy structure for shared drives?